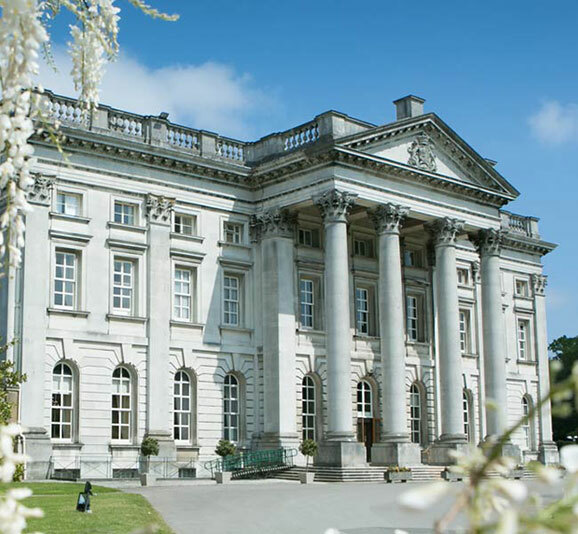 Moor Park is an impressive members club, set in 300 acres of the most beautiful landscaped Hertfordshire parkland and with its own Grade I listed 17th Century mansion building. 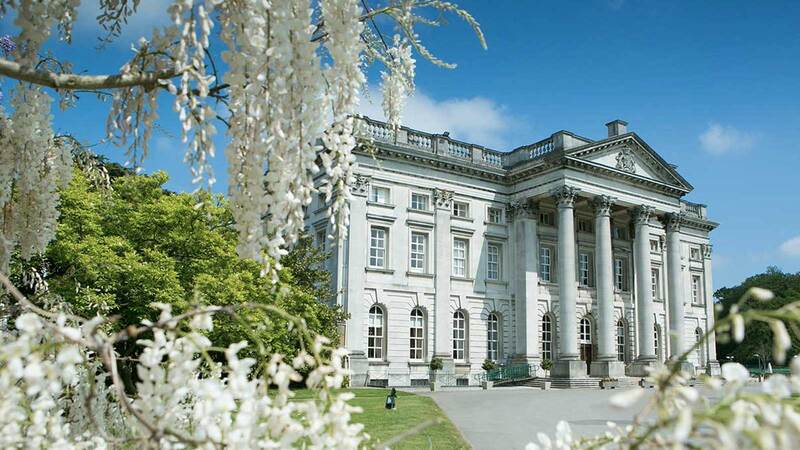 With its impressive grounds it’s an awe-inspiring location for any occasion, from weddings to corporate golf days, meetings and events. The artwork that graces the interior of the building was painted by Italian artists, including a stunning ceiling painted by Verrio in 1684-5. 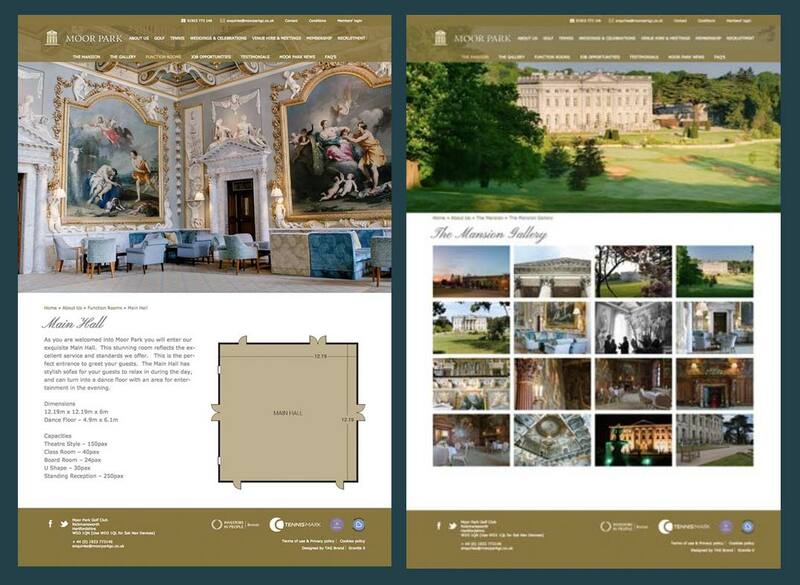 Moor Park is an exceptional and highly regarded club and required a facelift to their online presence to really show off their facilities, alongside more functional requirements including helping to communicate with their 1500 members, and also results-focused needs to generate more membership and venue hire enquiries. 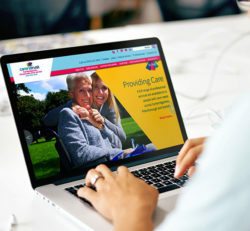 We worked closely with the marketing, events and operations teams to deliver a set of features within the new website which help to achieve the business objectives and goals for the new website. The website includes a number of features which help to improve some previously manual or offline processes, including for example a ‘course conditions’ widget. This helps to greatly improve the efficiency for the greenkeepers to deliver important course information to members and centralises some management tools within the website. A stunning collection of professional photography is used throughout the site to help demonstrate the clubs luxury proposition and breathe life into the deep content structure. 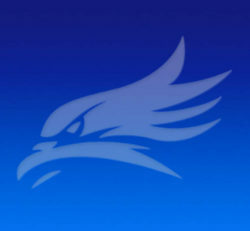 Behind the scenes are some integrations which help to improve the user experience for members. 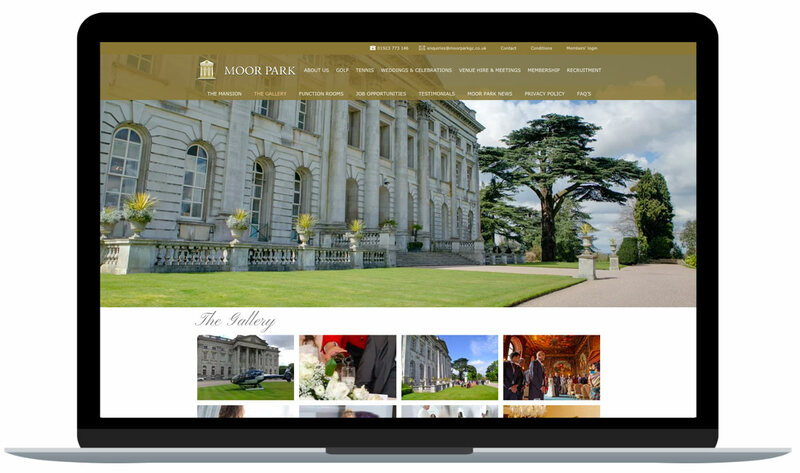 Membership details and contact information is managed via a back office platform and pulled into the website for authentication, making it easier for Moor Park to centrally manage their users. Single sign-on is achieved with a golf handicapping platform so once users are signed in to the website, they don’t need another login for their handicap system. 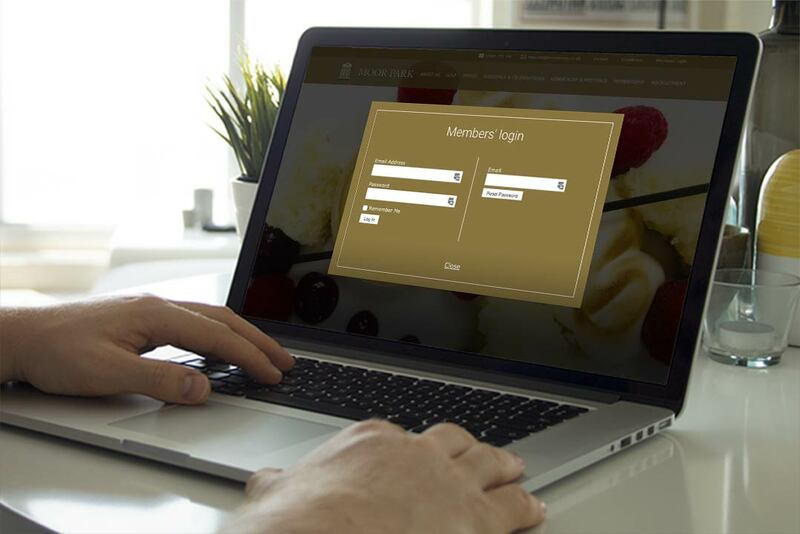 The members portal delivers a platform which allows member communication of confidential information and to provide a repository of information including reports, calendar, notifications and booking systems. Thank you to the G5 team for helping us to deliver our stunning new website and for your support and expertise with the content and messaging throughout the site. The support after the website launch has been exceptionally useful. We set up a Members Committee for feedback from our end users and their ideas have been managed due to your teams knowledge and expertise.